While the Mainstream Media here in the United States is more focused on the Economic Stimulus Plan the Administration has some plans underway. It is believed that Two Crisis Situations will have Two different Plans for a US response. One will be Military the Other One will be Diplomatic. The Question now is How soon will they be Implemented? At the risk of sounding like a Broken Record it appears that the United States will seek to once again have the Zimbabwe Crisis be placed on the Agenda of the UN Security Council. Last Summer the US placed the Country on the Council's agenda when it held the rotating Presidency of the Council. One of the Goals that the US had was to have Sanctions placed on the Country. The US was thwarted in this effort by both Russia and China. Both Nations have considerable Financial Interest in the Country. Currently the Southern African Country is being Hammered by Hyperinflation, A large HIV rate, Malnutrition, Poor Governance and a Large Cholera outbreak. The Latest Figures indicate that over 3,000 People have perished due to the Outbreak which remains out of control according to Medical Specialists. And there is not a functioning Government in place. Current US Ambassador to the UN Susan Rice is a Zimbabwe Specialist and was working on African Affairs under President Clinton. Currently Victory is defined as getting Russia and China to Abstain. What about assisting those that are suffering in Zimbabwe? President Obama is already working on what concerns the US has in Africa. The Washington Note webpage had an interesting post yesterday that caught the attention of the Confused Eagle. Quoting an Unnamed Source the site stated that between Election Day and the Inauguration that the Transition team was talking to Military Planners and Intelligence Operatives about the Potential of taking Military Action against the Somali Pirates. Currently there is a Multinational Task Force in the Gulf of Aden that is attempting to rein in the Pirates. And the Pirates still hold the Ukranian Registered MV Faina and its cargo of 33 T-72 Tanks that were being shipped to the Government of Southern Sudan. At this time the plan of action will call for an assault by US Special Forces against the Pirates. The Task could be handed to Task Force 88. This is a Unit that has reportedly seen service in the Country in December 2006 to support the Ethiopian Incursion to prop up that Country's Government. There is a risk to this potential strategy. First this could open up a third front in the region where hundreds of thousands of US Troops are currently engaged. 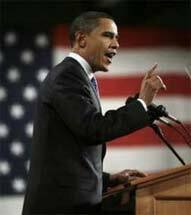 Also President Obama who is seen by some critics as being an Appeaser may have to take action to prove that he is in fact a strong leader. President Kennedy made a similar error during the Bay of Pigs fiasco. The story also had one key point of interest. There may be a harbringer of a Potential US strike. The Deployment of Japanese Naval Elements to the Gulf of Aden region is very interesting. In Crisis Situations Japan will not generally get involved unless it Feels that the US will be taking action soon. The Iraq Conflict is proof of this. Keep up with African Issues here on the Confused Eagle.